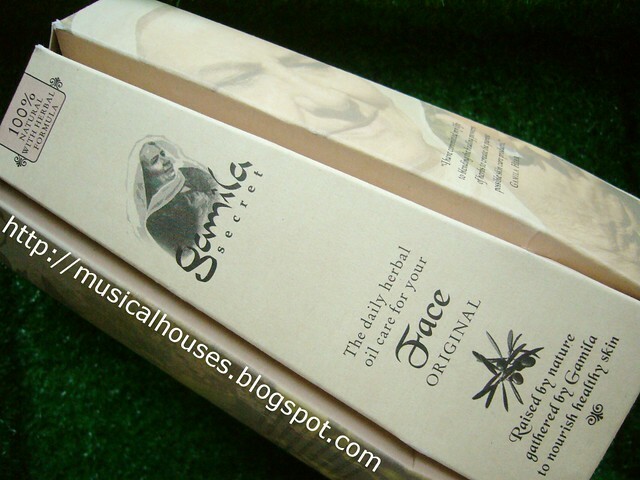 Natural products are all the rage nowadays, and one of the brands I was introduced to sometime back was Gamila Secret. Gamila Secret was apparently really founded by an old Israeli lady named Gamila (her face adorns the packaging of the products), and her products are derived from natural oils that grow within the Galilee region that Gamila hails from. Gamila Secret Face Oil: A blend of nine botanical oils and antioxidants. 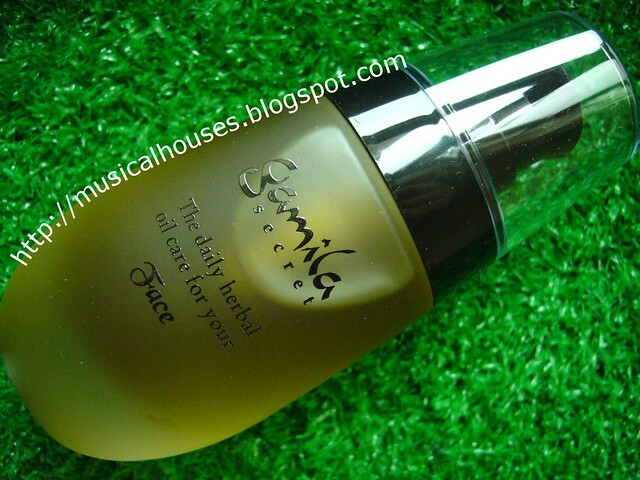 Gamila Secret Face Oil: Grape seed, sweet almond, jojoba seed oil, and more. Yes, that old lady is Gamila herself! And she looks incredibly young for someone her age, too! Now, I know you've seen reviews of this before. But you have seen a review of a natural face oil that is based on science? Ah, bet you haven't! So let's get that sorted out right now, shall we? You know you want to! I know that some people might be worried about applying oils to your skin, as it can be potentially clogging. The good thing about this product is that the main oils, which are grape seed, sweet almond, and jojoba seed are not too clogging (only sweet almond oil has some potential to be moderately clogging for some skin types, as far as I know). I know that Generally, oils with oleic acid (coconut and argan oil are two examples of oils that are high in oleic acid) tend to be more clogging than oils that are lower in oleic acid. As far as I know, the top three oils in the product don't contain all that high levels of oleic acid. So if you are wondering if the oils might be clogging, chances are more likely that they won't than they will. If you're still worried (or if you have allergies to other oils, e.g. lavender), it's probably best to do a test patch. When I trialled this product, it seemed to be fine on my skin. As a bonus, because the product is anhydrous (no water, since it is oil-based), it doesn't need any preservatives, so there aren't any in this product. For the huge majority of people, preservatives present no issues but for those who are allergic to them, or just want to avoid them, this is a good alternative. Gamila Secret Face Oil has grape seed oil, sweet almond oil and jojoba seed oil as its top three ingredients. There is some evidence that jojoba oil can moisturize skin, and that jojoba seed oil can have anti-oxidant effects. Also, grape seed oil is often touted as an anti-oxidant, in part due to its polyphenol content. Tocopherol acetate, aka Vitamin E, is also added to the product to boost its anti-oxidant activity, as tocopherol acetate, as well as other tocopherol derivatives, do have anti-oxidant activity. And all three oils have the benefit of functioning as occlusive moisturizers that form a barrier on top of your skin that prevents TEWL (Trans Epitermal Water Loss, aka water loss through your skin). And that goes a long, long way towards making your skin look better - after all, one of the main causes of aging is just plain ol' water loss and dehydration of skin. So given the ingredients, I'd say this is a good moisturizer, and it has smoe anti-oxidant effects too. A combination of occlusive moisturizers and anti-oxidants, that doesn't feel heavy on skin. 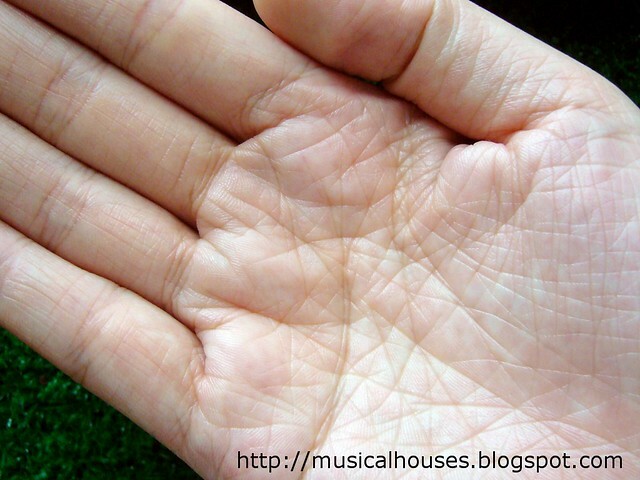 Here, it is all absorbed into the skin on application. 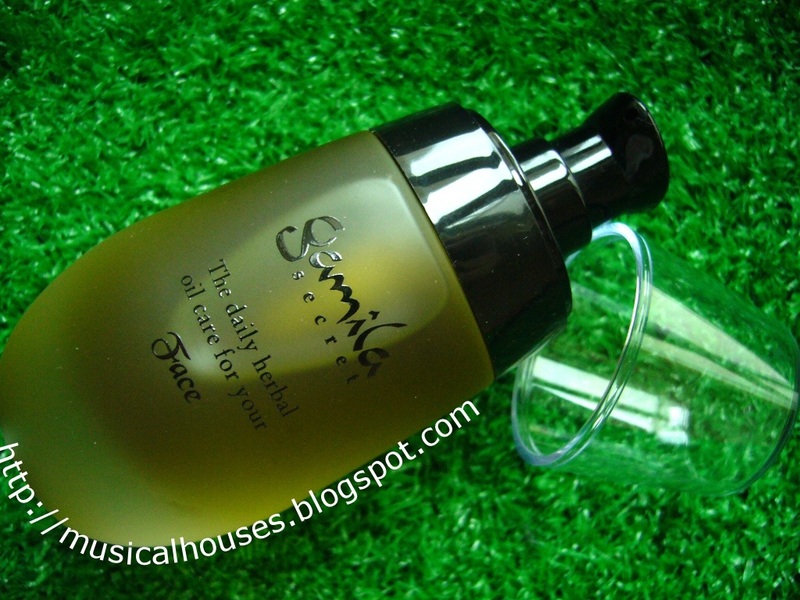 When I tried the product, I found it to be oily (of course!) but not too heavy-feeling on my skin. I found that if I used a moderate amount (the pump above pictured was enough for my whole face), and patted in the Face Oil, it absorbed well and did not leave an oil-slick type residue. Instead, I had more of a silky finish. I imagine that for those with aging or dehydrated skin, this would be excellent, as it prevents TEWL, while still feeling light and silky. For me, this didn't quite work well as a makeup primer as it was a tad too oily, but then again you're talking to someone with pimples and acne. So if you aren't a 20-plus-year-old-with-oily-teenage-skin, and if your skin is drier than mine, then I imagine you'd like this more. It also has a very nice herbal smell - I'm guessing this is partly from the lavender and other aromatic oils. It's almost like aromatherapy using this product. It's probably too expensive to be used as such, but I can imagine it being a massage oil or body oil, too, if anyone is so inclined. All in all, this is a great natural moisturizer for its composition of plant oils, cosmetic elegance, and is also preservative-free. All in all, if you're on the lookout for a botanical oil-based moisturizer, I'd say that this is probably one of the best ones I've come across out there. It has a great selection of natural oils, and also has added antioxidant properties (so there are additional benefits as just compared to pouring oil on your face). It also doesn't have any preservatives, so it might be helpful for those who are sensitive to preservatives. Also, it is sensibly packaged in a pump, and aesthetically elegant, with no oily residue or slickness). If this is something that sounds interesting to you, it's worth checking out. Thanks for sharing the info. Gamila oil is really effective. I bought it recently and found it perfectly fine to use.